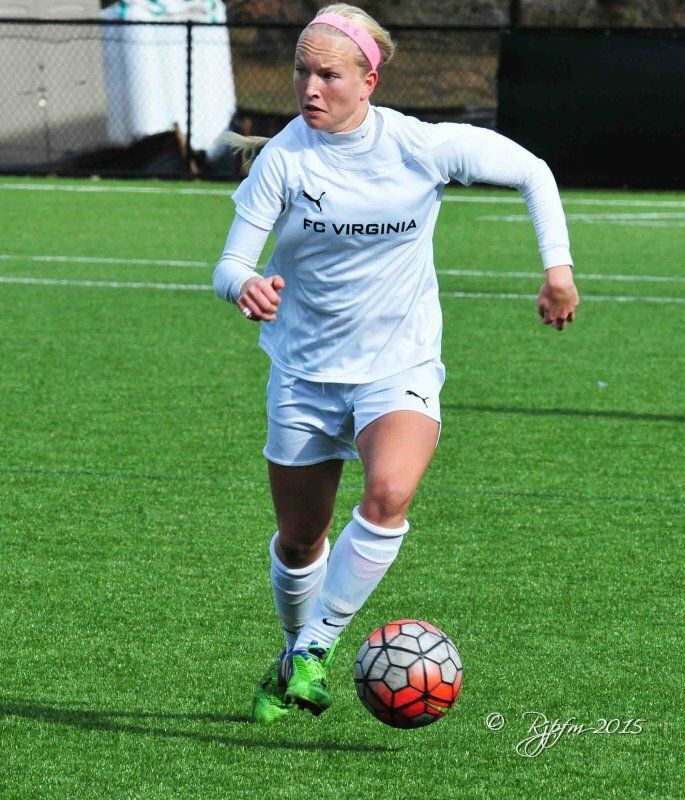 RICHMOND, VA (February 9, 2016) – As part of the Amazing Young WomenTM campaign, the Elite Clubs National League (ECNL) has announced the 2015 recipients of the H.E.R. Coaching Scholarships (Health & Education Resources). Six women from across the country were chosen from a deep pool of talented applicants to continue their coaching development and receive a scholarship to pursue a USSF “D” or “E” coaching license. The ECNL launched this program specifically for ECNL Alumni and aspiring female coaches. The program aims to encourage top current or former female players to enter the coaching profession, encourage continuing education within the profession, and continually raise the level of play in youth soccer. The ECNL caught up with Emma to learn about her journey this past year as a current player, the coaching education course she plans to attend, and her future aspirations. Q: If you could have one super-power, what would you chose and why? A: The one super-power I would choose would have to be reading minds. I think it would be awesome to have an insight on their next move. Q: What is one thing most people do not know about you? A: I have an oversize bone in my foot. I am a nature freak and love to be outdoors. A: Going on to grad school to continue my studies and pursue a masters degree in sports management or psychology. I believe this will help me as I pursue a career in coaching. A: I really like bitmoji (you create yourself as avatar and then there are different emojis with your avatar for any occasion). A: Either Antarctica or Australia. Antarctica is one of the last places on earth to be touched by man which would spectacular to see. I want to go to Australia to see the wildlife and get to say I went to “land down under “and I also love the Australian accent so that is a bonus. A: Self satisfaction of reaching a desired goal. Q: What is your favorite month of the year and why? Q: If you could tell your 12 year old self one thing, what would it be? A: You can never put into to much work on and off the field. A: Playing the fifa on ps3 and ice cream. Q: Who is your favorite person/organization to follow on Instagram? A: @rldesignz is an awesome account to follow for any soccer fan. There are videos of ridiculous goals, freestyle tricks and some humorous mistakes every player has made in their career. Emma, you are an Amazing Young Women. Thank you for sharing your story and we look forward to following you as you continue your coaching career.